Galaxy Brewing Company, of Court Street in Binghamton, NY will be attending Kopernik AstroFest 2014! They will be serving their “Kopernik Kolsch” starting at 6:30 PM on Saturday, October 25th. The price per pint will be $5.00. 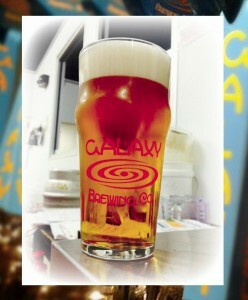 Galaxy Brewing recently won the Silver Medal in the World Beer Cup competition in Denver, Colorado. The World Beer Cup had 4,754 entries in 94 categories from 58 countries. Come join us in enjoying one of their very unique beers, and enjoy a beer that is out of this world!